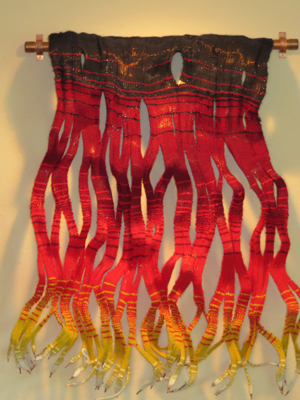 Megan Tilley brings together her passion for both sculpture and weaving in this fiber and copper wire wall hanging. In her home on the west side of Fort Collins, Megan Tilley surrounds herself with her art – and not just for the Fort Collins Studio Tour, when I met her. Permanent, focused lighting brings out the best in her wall hangings, mobiles, and sculpture. Her home has become both her studio and her gallery. Megan calls her work collectively Raw Life Expressions. As she talked about it, I realized that what I need words to do, Megan does with fiber, metal, and glass. No wonder the results are so unique. 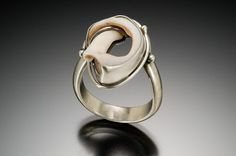 Megan specialized in sculpture during her undergraduate days as a fine arts major at Colorado State University. She took a weaving class simply to fill a requirement – but fell in love with it on the first assignment. Now a loom sits across a corner of her living room with all the aplomb of a baby grand piano. 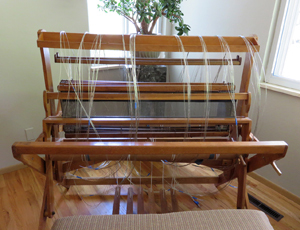 Wire drapes Megan Tilley’s loom in preparation for her next project. During the Fort Collins Studio Tour, Megan was getting ready to set the loom for her next project. She had draped it not with colorful yarn but with numerous strands of gray wire. Wire would soon form the warp (what weavers call the longitudinal direction on the loom) of her project; soft yarn would form the weft (the opposite direction). Megan explained to me that wire allows her to twist and curve – essentially to sculpt – the finished piece. That’s how she created the wall hanging pictured above at right. Fine copper wires shine through the colorful textile and cluster at its gracefully sculpted tips. Not all of Megan’s weaving comes off the loom — sometimes she weaves glass and wire. The photo at left captures detail of just one part of Megan’s work “Harmony.” Before its final assembly, Megan used a kiln to fuse the wire and glass – a process which not only made their intertwining permanent but also transformed sharp glass edges into gentle curves. 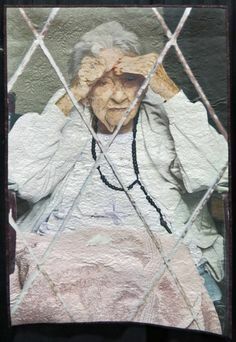 Megan has mounted her glass and wire creations on stretched burlap, suspended them between vertical rods, and hung them from a spiral bronze bar . . . whatever it takes to say what she has to say. You can see more of Megan’s work online at Raw Life Expressions. 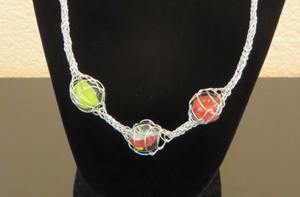 Megan also creates art that women can wear, particularly necklaces in a variety of materials. The one that especially caught my eye hung by what looked like silver rope. Megan Tilley showcased antique marbles by enmeshing them in sterling silver wire. Sterling silver, Megan informed me. I thought how hard – how inflexible – sterling silver is in jewelry and tableware and wondered how she had managed to make silver rope. Megan went to her worktable and pulled out a cardboard spool. It was the kind you might buy ribbon on at a hobby store – but wrapped around it were yards of sterling silver wire. My eyes popped. I did not expect sterling silver in any form to be so pliable you could roll it up. And the humble packaging struck me as marvelously ironic. I left Megan’s home for my next studio tour destination feeling pleased that my view of the world had just expanded. This is the third of a four-part series about the studios I visited during the Fort Collins Studio Tour this summer. I won’t be able to share details of all of them during this series, but here’s a quick introduction to the artisans and artists I met along the way. We can take a closer look in coming months. Mary Barron — Mary’s fused glass business, Adagio Art Glass, has gone national, providing decorative tiles and many other glass accents for homes across the country. 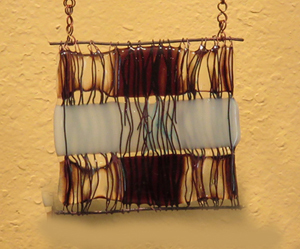 Fused glass is also her medium for fine art and jewelry. Karen Cannon — Karen, who shares studio space with Mary, was painting the detailed face of a wolf on glass when I stopped by. Above her worktable hung previous paintings of dogs on canvas. I found the musculature in her animal portraits phenomenal. Sanam Emami and Del Harrow — This husband-and-wife team of ceramic artists have turned their garage and basement into their studio, Parametric Pottery. 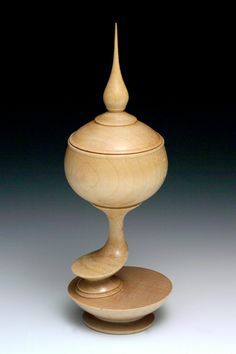 They’ve been experimenting with 3-D printing to enhance their designs; it gives their work a look unique to the 21st century. 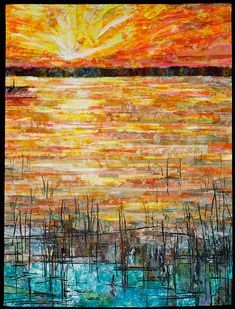 Shelly Hearne — Shelly’s specialty is fine art with acrylics, but it’s her work in pastels that enchanted me. She uses colors both soft and bright, and I appreciate how hard it is to produce work as large as hers without smearing the pastel medium. 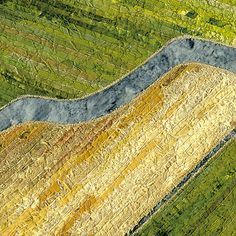 Heather Matthews — I found Heather and her studio as warm and inviting as her blog for Parsley Art Studio. 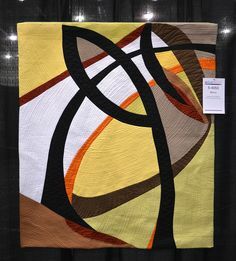 Heather uses her fine art skills to make creative cards, but her studio also has a sewing machine where she creates practical but artful textile items. David Moore Miller — David is getting back on his feet after losing years of work in the High Park fire. Observing the wonderful artistry in his contemporary wall hangings, I felt sad for all that was lost and hopeful for all that is to come. Jennie Milner — Jennie’s studio adjoins Anne Bossert’s workshop, featured last week. From creative cards to metal jewelry, Jennie’s work is fun and joyful. She’s the only artisan I’ve met using resin to protect whimsical prints on her jewelry. Ajean Ryan — Ajean creates a wide variety of art, from whimsical to ultra-modern, in the studio behind her home. I especially enjoyed her crowns, large enough for humans but ethereal enough for fairy queens. Trevor Ryan — Trevor’s workshop, Wry Goat Studio, occupies the second of two outbuildings behind the house where he and his wife Ajean live. 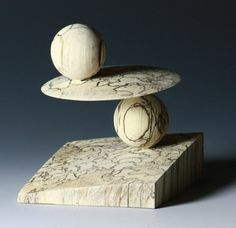 Trevor upcycles used wood to make furniture that mixes elements of contemporary and country design. Art Sands — The medical office of Dr. Art Sands was overflowing with his stunning photography the day of the tour. Dr. Sands captures fine art in man-made things and reveals what’s special about people whose lives may not seem so special. This virtual tour is not over yet. Next week we’ll look into the studios of three artisans who create wheel-thrown pottery. In the meantime, have you attended an art fair this summer that you thought was outstanding? Which one was it? Or maybe reading the list above made you think of an artisan who should have been on it. Who would that be? You can share your answers by clicking “leave a reply” at the top left of this page. This entry was posted in Fabric & Fiber, Glass, Metal and tagged Fort Collins Studio Tour, loom, Megan Tilley, necklace on August 20, 2014 by Sally. What a fascinating description of this artisan’s work. I’m reminded of the ribbon you can purchase that has wire edges that can be molded into shapes. I also liked the information that followed about other artisans. Having their websites is extremely useful. I’m glad you enjoyed today’s post, Kathy. I hope readers will be curious enough to check out some of those websites you mentioned and let me know which artisans interest them the most.